While I've been known to devour a whole bag of Haribo in one sitting and have a lifelong addiction to Cadbury Buttons, I'd still probably classify myself as a savoury rather than sweet person (I'll take a slice of pizza over a slice of cake any day). However, despite my general preference for junk food of the salty variety, I can always make room for a good chocolate chip cookie or two (preferably served all warm and melty, straight from the oven). Because I don't really have a tried-and-true recipe for the perfect chocolate chip cookie, I'm always trying out new ones (and by "always" I mean maybe once a year), and my latest baking enterprise has been testing out this recipe I found in an old copy of InStyle, for Dorie Greenspan's Ultimate Chewy Cookie. As I've been known to (severely) burn cookies in the past, I kept an extra vigilant watch on this batch, and thankfully they turned out perfectly! I wouldn't exactly describe them as "chewy" per se, but they did have a nice bite to them and the crunchy, salty walnuts really balanced out the sweet gooeyness of the chocolate chips. The recipe supposedly yields 45 cookies, but I ended up with 26 in total -- I guess it all depends on how big you make them (mine turned out pretty average-sized though). I read that tossing a slice of bread into an airtight container with your cookies keeps them fresh for longer...no idea how true that is, but it's definitely worth a shot! Mmm, peanut butter cookies are good too! These look delicious! 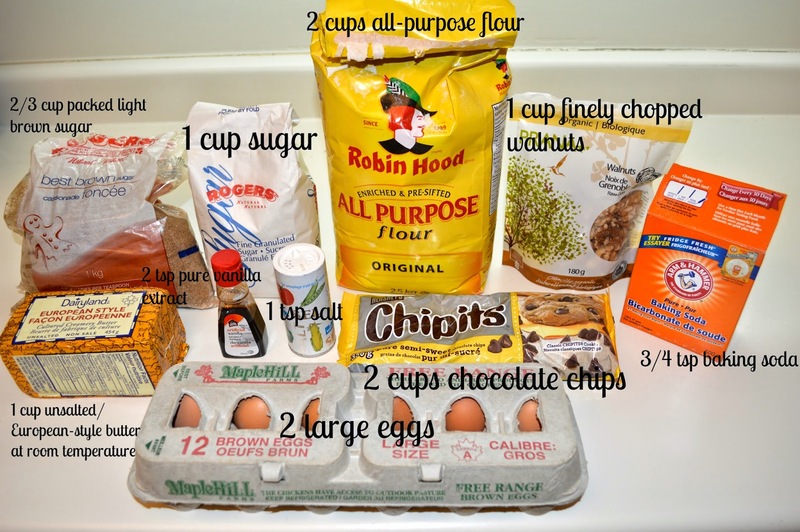 I'm making chocolate chip cookies with my roommates tonight! Aren't they just the best?! No any day I would take a piece of pizza over a piece of cake. Yes, I'm a big pizza lover! !